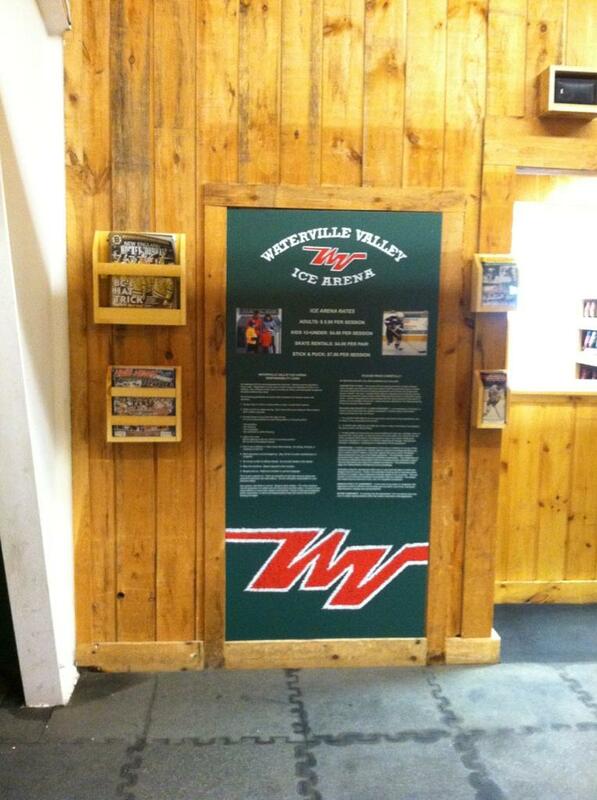 This is a flatbed printed sign we did for a local ice arena. It replaces several black and white sheets of paper taped to the wall to let people know the arena hours, prices, and a few rules. It’s so much more professional! On top of that, people are much more likely to pay attention to your signage when it’s attractive. They might actually read it! With our direct printing process, you get full four color printing direct to the board, and at a photo realistic 720 dpi. Direct printing to board like this is affordable too. This sign was a little over 3×6 feet in size, and cost about $200. Since it’s printed on ultraboard, which is plastic on either side of styrofoam, it will last for years and won’t bow with changes in humidity. This entry was posted in Flatbed printing and tagged direct printing on board, direct printing to board, flat bed printing. Bookmark the permalink.